Around a third of all Florida residents, or some 6 million people, could qualify to use medical cannabis, so there’s good reason for the Sunshine State to be the initial focus for Liberty Health Sciences (CSE:LHS). 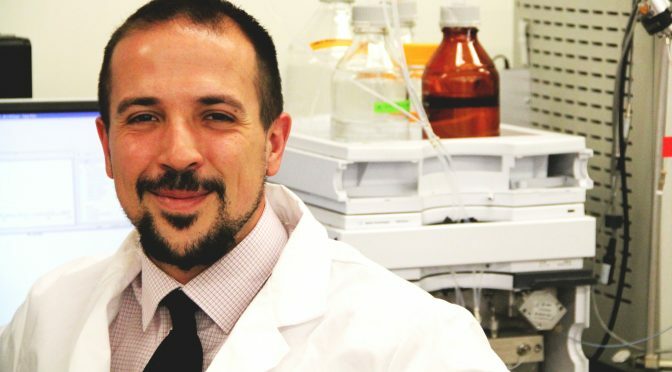 “Florida is one of the most populated states in the U.S., but it also offers quite a diverse amount of chronic medical conditions that doctors can prescribe cannabis for,” says George Scorsis, Liberty’s chief executive officer. At present, the state has just over 36,000 patients registered for medical cannabis, after a 300% rise in registrations in the past quarter. Liberty is one of only 13 companies licenced to cultivate, process and dispense it by the state government. Research suggests Florida could be a US$1.6bln medical cannabis market by the end of the decade. In other words, it has the potential to eclipse Colorado, a pioneering state in legalizing cannabis, as the latter is forecast to be worth US$1.5bln by then. As we reach the fourth quarter of 2017, 29 states and the District of Columbia have legalized the use of cannabis in some form. Last year provided something of a tipping point, with five additional states, including Florida, approving medical cannabis use, while states such as California and Nevada also approved the drug for recreational consumption. At a federal level the market is a greyer shade of green – the state by state legalization does not equate to national legalization, and businesses thus cannot operate across state lines. In other words, each state has its own regulations and within each state businesses must establish internal production and distribution channels. As a result, Liberty’s strategy is to enter specific state markets and embed their entire verticals within those states. Scorsis highlights the importance of Liberty’s approach to growing its business, where Florida is the initial focus, and new ventures in other states are in the pipeline. Discipline is a particularly important tenet of the strategy. “First and foremost, we will only enter into medical markets. There are now a tremendous number of markets that allow medical cannabis, such as Florida, Ohio, Pennsylvania, Maryland and Connecticut, with more on the horizon,” says Scorsis. Scorsis points out that in Florida, for example, more than 30% of the population could qualify to become a medical cannabis patient. Meanwhile, in Ohio that figure is around 24%. Moreover, there are some 3mln potentially qualifying patients in Pennsylvania, equating to 24% of the state’s population, while in Maryland the figure is 1.8mln patients or 30% of the population. Connecticut is estimated at 20%, or 736,000 people. Conversely, Scorsis notes that in New York State the medical cannabis program is too “narrow” to meet the company’s investment criteria. Liberty is targeting states with both large populations and large numbers of qualifying patients not only with revenue in mind, but also cost – producing at a certain scale is a necessity to meet the business objectives in a given market. With such major ambitions it is nice not to be going it alone, and in this respect, Liberty benefits from the support of successful licensed Canadian cannabis producer Aphria. That C$1.3bln company owns 36% of Liberty and provides both licenced products and operational expertise. Notably, since adopting Aphria’s licensed production techniques, Liberty has increased output by about 15%. Liberty’s current footprint in Florida comprises a 14,000 sq. ft. growing operation on a 36-acre property in Alachua County. Production capacity is approximately 700kg of cannabis per year. By March 2018, Liberty aims to be growing 3,000kg per year as it ramps up to 56,000 sq. ft. of growing space. Over the following years, Liberty expects to be at 13,000kg and an intended 187,000 sq. ft. of room for growing. Retail outlets are also part of the plan, and before the end of 2017 the company anticipates having dispensaries open in Fort Lauderdale, Miami and Tampa. Locations are planned for Orlando, Tallahassee and Pensacola by June. With anticipated annual production of 13,000kg and an increased retail footprint, Liberty would be supplying the equivalent of 20,000 patients. The opening of mass market consumer states like California (where the new legal framework officially comes into effect in January) will hold strong appeal for cannabis companies and their investors. But Scorsis definitively sees Liberty as a medical cannabis company, with specific competitive advantages. “Medical cannabis is who we are. It’s the ethos of our organization,” Scorsis emphasizes. This story was originally published at www.proactiveinvestors.com on December 20, 2017 and featured in The CSE Quarterly. 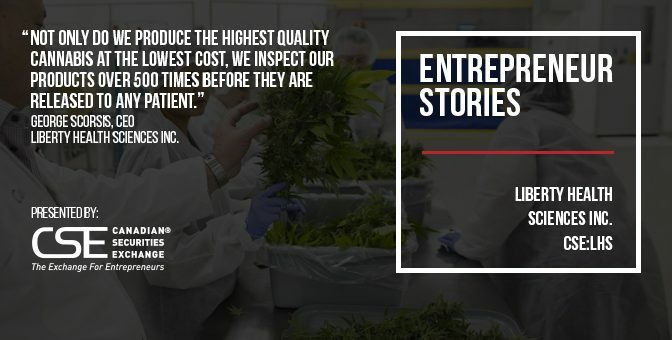 Learn more about Liberty Health Sciences Inc. at https://libertyhealthsciences.com/ and on the CSE website at http://thecse.com/en/listings/life-sciences/liberty-health-sciences-inc.